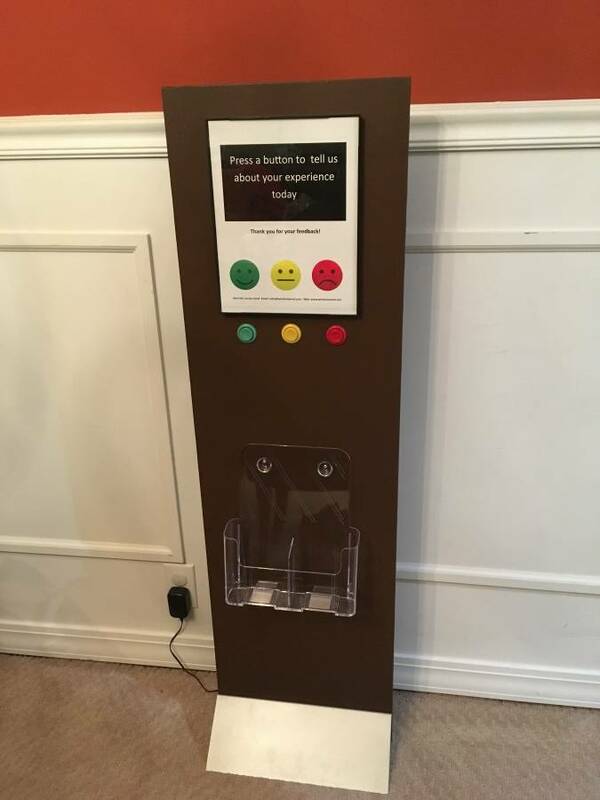 Collect maximum customer feedback in high traffic areas. Discover the root cause of your customers’ dissatisfaction. Know what your customers think about your business, products and services. 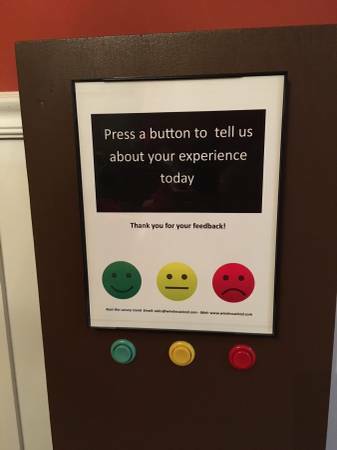 Get instant feedback from your customers, patients and patrons with our interactive feedback signs. Access the collected data directly from your computer or mobile device. Securely access the reports dashboard and export the collected data to Excel. Setup and receive email alerts. Monitor the room temperature at the unit and receive email alerts when the location is too hot or cold. Use the integrated business card/brochure holder to promote your products and services. Unlimited use of the smart sign. 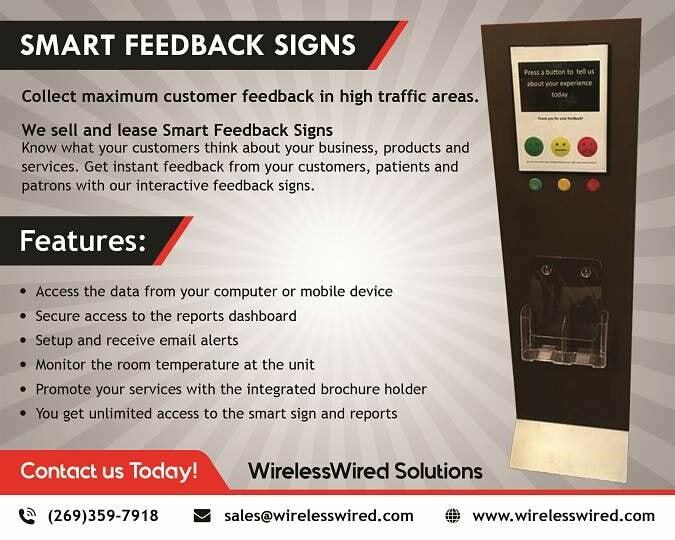 Rent our Smart Feedback Signs today. They are approachable, anonymous and easy-to-use. Call (269) 359-7918 or send a mail to sales@wirelesswired.com for more information.